Preliminary lineup released for DTH birthday conference sessions! Mark your calendars for Feb. 17-18 — The Daily Tar Heel’s 124th birthday party and conference, hosted by the DTH Alumni Association! It is already shaping up to be a jam-packed weekend, full of discussions on the journalism landscape with some of the most innovative journalists in the business. See below for the preliminary schedule of the weekend, which is evolving. Buy your tickets here until 9 p.m. on Monday, Feb. 13. 2 p.m. WHAT’S NEXT? Part 1: What’s the big idea? Innovative journalists, including Ariel Zirulnick of The New Tropic, Fiona Morgan of Free Press and Daniel Malloy of OZY will present what they’re working on in a lightning-round session, and then will host breakout conversations to discuss how other people can use or adapt their project. Moderated by DTH executive director Betsy O’Donovan. Got a cool project or provocative idea to pitch? Email alumni@dailytarheel.com. Susan King, dean of the UNC School of Media and Journalism, moderates a discussion with DTH Editor-in-Chief Jane Wester, Duke Chronicle editor Claire Ballentine, the Chronicle of Higher Education’s Sarah Brown, Roanoke Times’ Sara Gregory and Monika Johnson Hostler of N.C. CASA about the challenge and responsibility of covering sexual assault. They began working in journalism during or immediately after the Great Recession, when the journalism world was blowing up. And now they are blowing up journalism, by pioneering new ways of telling stories, new business models for news, and new ways of finding audiences. 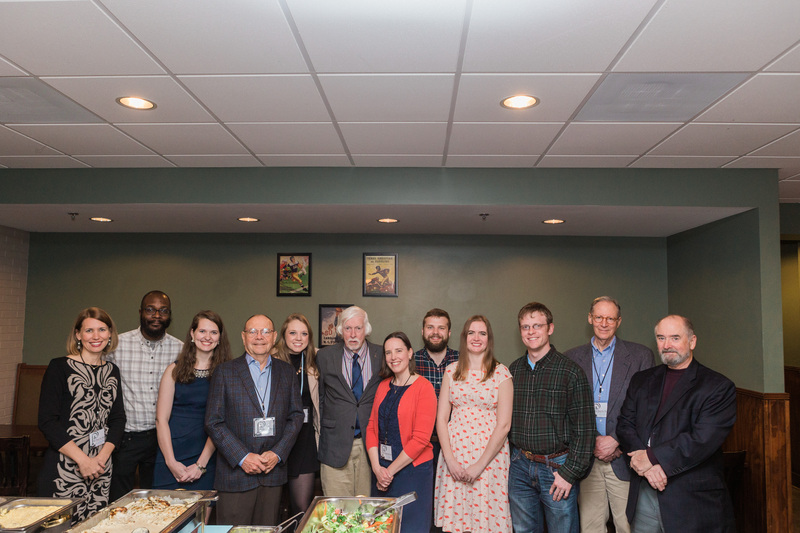 The New Tropic’s Ariel Zirulnick, Reuters’ Emily Stephenson, Charlotte Agenda’s Andrew Dunn and the Center for Community Self-Help’s Ricky Leung. Moderated by the DTH’s Visual Managing Editor José Valle. 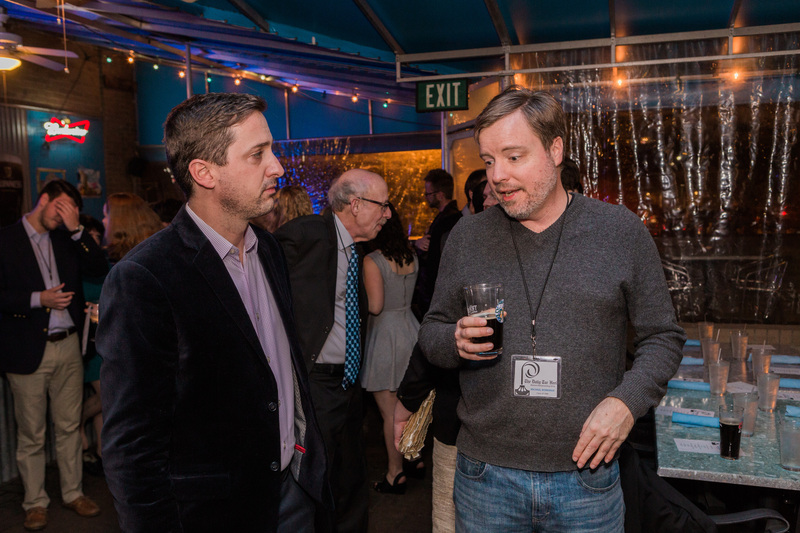 Meet your fellow journalists at The Daily Tar Heel’s unofficial annex for a reception sponsored by Democracy Fund. Join The Daily Tar Heel for a night of true stories, told live, without notes at TRU Wine Bar. Doors open at 7:30 p.m.; storytelling begins at 8 p.m. with DTH historian Ken Zogry. The Daily Tar Heel was once known as the cradle for the “baby radicals” of the campus and the state. In honor of that history, our inaugural story slam’s theme is AUTHORITY. The best story on the theme will win a $25 cash prize. Bring your game. Tickets: $7.50/person. Conference registration, raffle tickets, merchandise for sale, etc. Everything you ever wanted to know about using your journalism skills in new places. We’ll include freelance tips, career changes, business management and your Q&A. Ricky Leung (online communications manager for Self-Help), and photographer Grant Halverson. Moderated by DTH Photo Editor Sarah Dwyer. 9 a.m.: Pulitzer standards, local stories. A sharp, hard look at what community newsrooms can do to practice world-class reporting with the resources on hand. With Roanoke Times’ Sara Gregory, ProPublica’s Adriana Gallardo, WAMU’s Bec Feldhaus Adams and Fiona Morgan of Free Press. Moderated by The Daily Tar Heel’s Kiana Cole. Want to be an editor? Some of the best in the business — Courtney Rukan from the Washington Post, Jenny Abella from the Washington Post Magazine, and Jen McDonald, a former editor at the New York Times — will discuss how to advocate for readers and make stories shine. Moderated by Daily Tar Heel managing editor Hannah Smoot. CNN’s Eugene Scott, Huffington Post’s Julia Craven, Reuters’ Emily Stephenson, the Boston Globe’s Matt Viser, the Washington Post’s Peter Wallsten and other notables who are covering Donald Trump and the presidential transition will discuss how their coverage has evolved to accurately report on an unprecedented president-elect. (Submit questions in advance to alumni@dailytarheel.com.) Moderated by Daily Tar Heel state and national editor Corey Risinger. 12:15 p.m. WHAT’S NEXT? Part 2: What’s your problem? Journalists all have challenges in their newsroom, or a project they want to work on but aren’t quite sure how to get started. 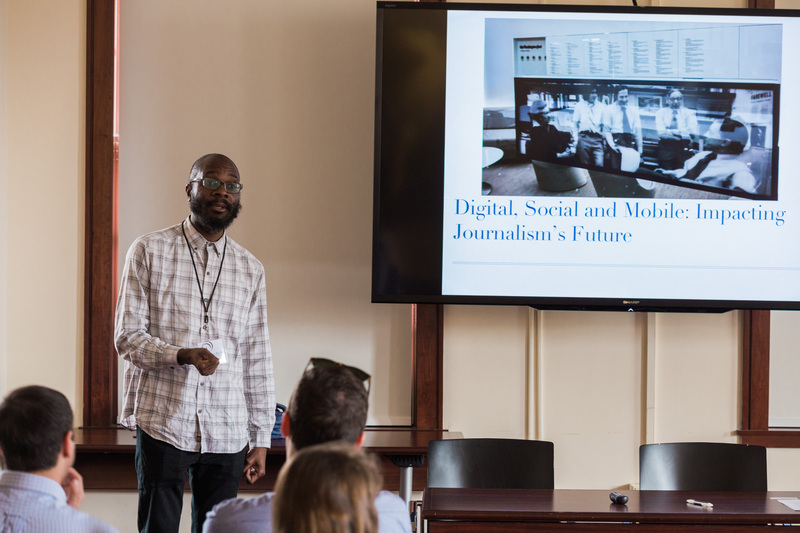 Innovative journalists including the Fayetteville Observer’s Matt Leclercq will discuss their problems in a lightning-round session, and then will break out into brainstorming sessions. Moderated by Daily Tar Heel newsroom adviser and brand studio director Erica Perel (DTH EIC ’98). Want to present your “problem”? 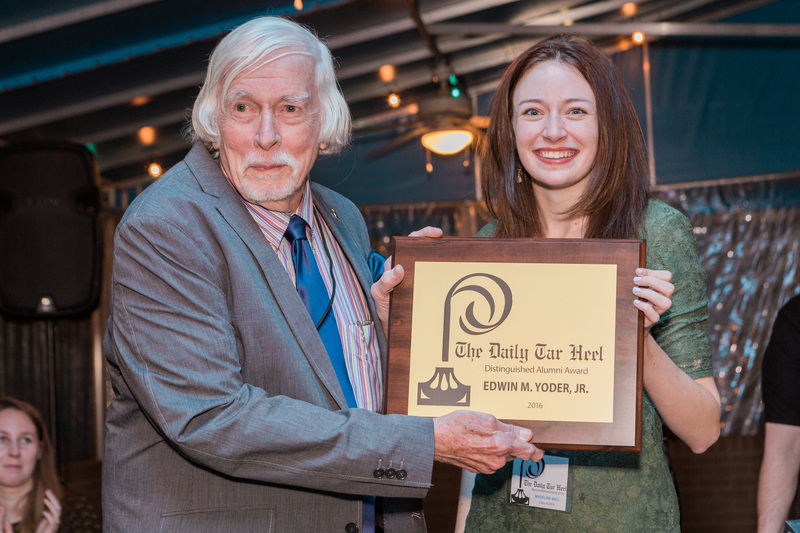 Email alumni@dailytarheel.com. Winning money to work on a dream project, taking your journalism skills outside the newsroom, and more. 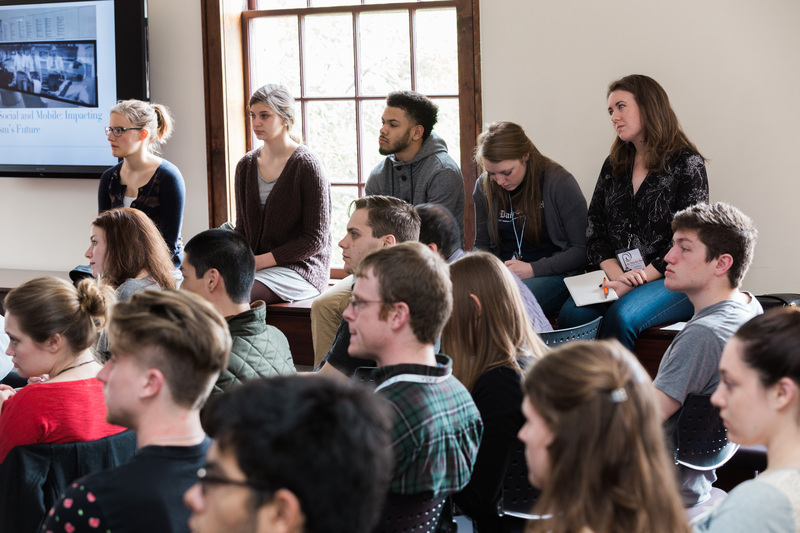 Fellows and foundation pros, including 2013 Nieman fellow Jen McDonald and Democracy Fund’s Teresa Gorman and Hodding Carter, former president and CEO of the Knight Foundation, will offer advice. Moderated by Daily Tar Heel Online Managing Editor Danny Nett. We will honor our 2017 Distinguished Alumnus, give updates on the current state of the Daily Tar Heel, and raffle off prizes, as alumni from multiple generations have a chance to reconnect over dinner. Probably operator error on my part, but I can’t seem to find addresses for any of these events. Where will you be?